Picture quality is not the standout feature of these TCLs. Black levels suffer turning more bluish black at times. From side angles contrast and color saturation degrade worse than the average LED backlit LCD TV. This begins at around 15 degress off center. Motion blur is rarely visible, though judder (side to side jerky motion especially present when a camera pans slowly) is present due to the fact that there is no refresh rate smoothing features present in the TV. Even though TCL states that the TV is 120Hz, it's actually a 60Hz native panel. Other notes on picture is that screen uniformity is weak both on black and solid medium grays. This means that you may see some clouding along the edges or corners when displaying a black or very dark screen. From our experience with LCD TVs, it may become more pronounced over time. With a gray or medium color screen you may see some darker shadows in various areas of the screen. 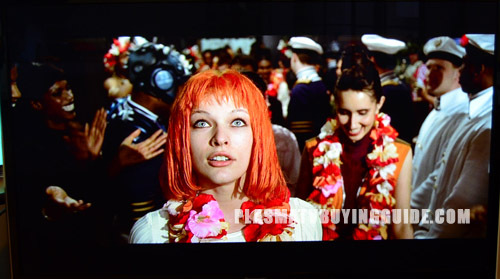 When viewing our stock Fifth Element BluRay we noted some inaccuracy in colors with a red push causing flesh tones to look flushed. Greens are also difficult for the TV to produce accurately. On the positive side, I was impressed with the brightness produced. There are free Apps for iOS and Android smart phones that even contain a voice controlled search. I did not try the voice search nor the smart phone App. But just know that it's an option. 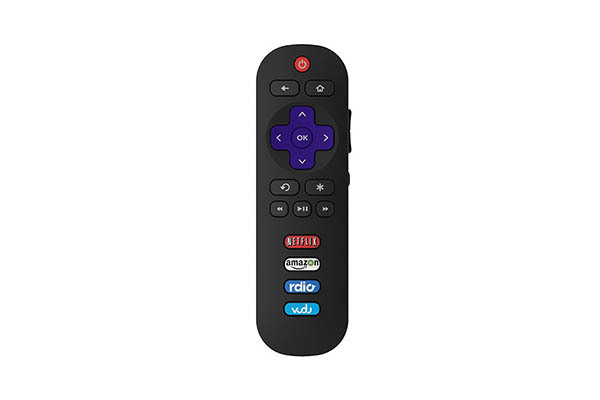 I like the simple Roku remote. The depth is not super sleek at 3 inches and the looks will not blow you away, but it's not bad and the new frame is only .75 inches in width. The accompanying stand is a tidy plastic rectangle of 7 inches. At $218, $424, and $599 for the 32”, 48” and 55” versions of the FS3700 this is a very well priced TV. It's a great option for a second or third room or vacation rental TV due to its complete Smart TV options. Competition is from the Sharp LB371U model Roku TVs.